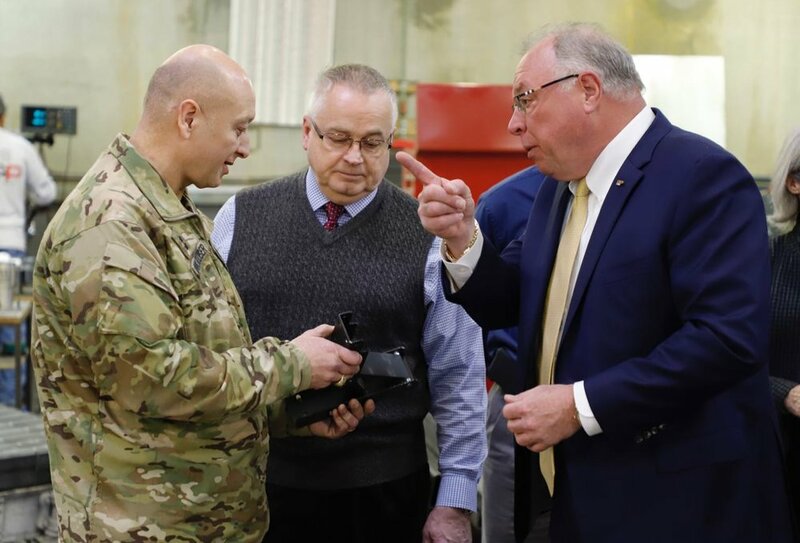 The Deputy Commanding General of the US Army Corps of Engineers (USACE) visited Design and Production Incorporated (D&P) on January 9, 2019. 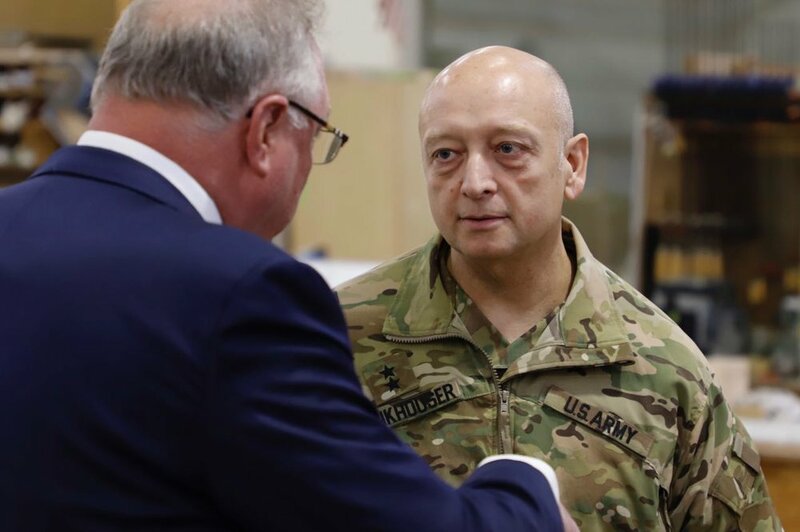 MG Anthony C. Funkhouser toured the engineering and production facilities of D&P, the exhibit fabricator of the upcoming National Museum of the United States Army. Design and Production Incorporated company president J.F. Barnwell welcomes MG Anthony C. Funkhouser to tour D&P’s production facilities. MG Anthony C. Funkhouser and Michael Schultz (Chief of Interagency and International Services Div, Military Programs, U.S. Army Corps of Engineers) examine exhibit components with D&P company president J.F. Barnwell. MG Anthony C. Funkhouser and National Museum of the United States Army staff members review graphic samples. D&P company president J.F. Barnwell shows display cases to MG Anthony C. Funkhouser and National Museum of the United States Army staff.